My designs can be found on pages 45-48. You ill want to check out all the awesome designs. 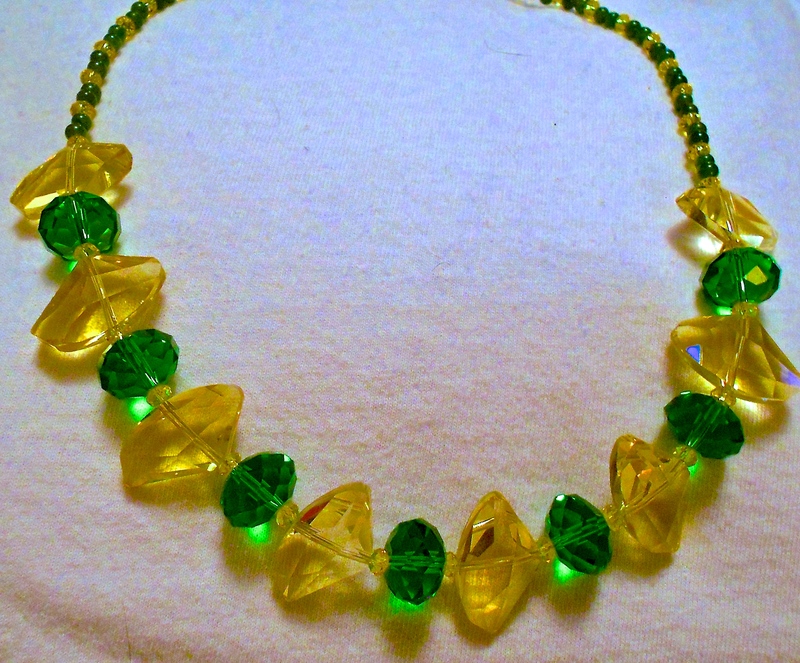 I call this necklace Daffodils because it reminds me of the first flowers we see when Spring finally arrives. I used the beautiful Chinese Crystal Axe in Sunglow & a beautiful green Rondelle. I added a few vintage jade beads for accent. Earrings to go with the necklace. 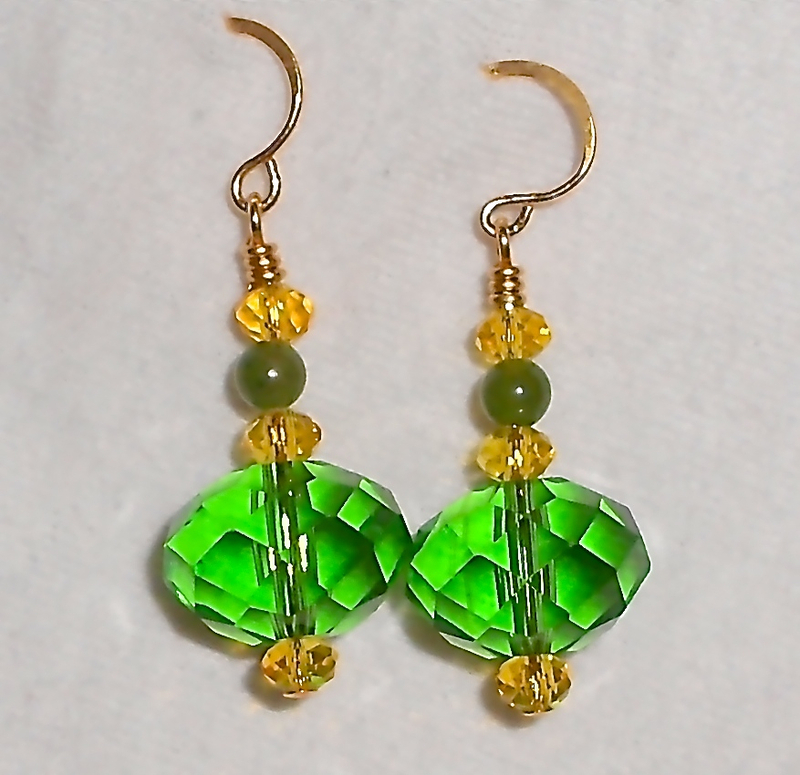 I used the green Rondelle and added small yellow crystals and vintage jade. These earrings are so much fun. 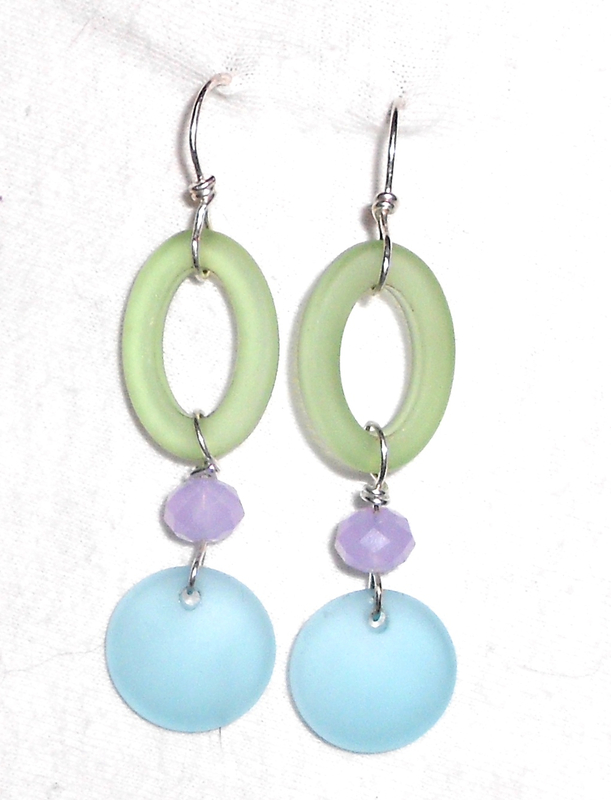 I added the half bottle lip Cultured Sea Glass and Cultured Sea Glass spacers to make these funky Spring dangles. 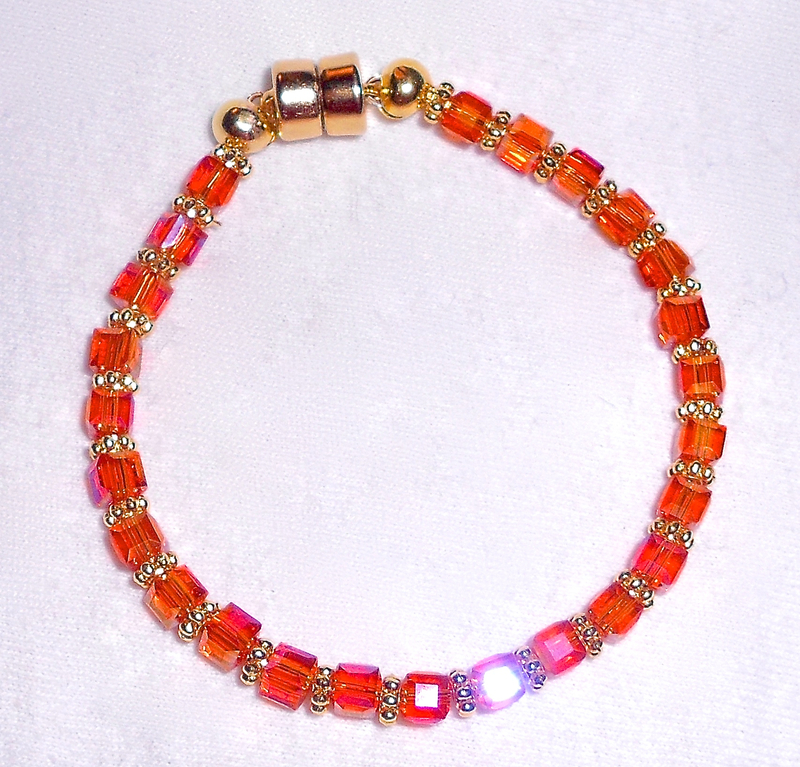 This bracelet made itself. I added gold spacers to the tangerine cubes. One of my favorite pieces. 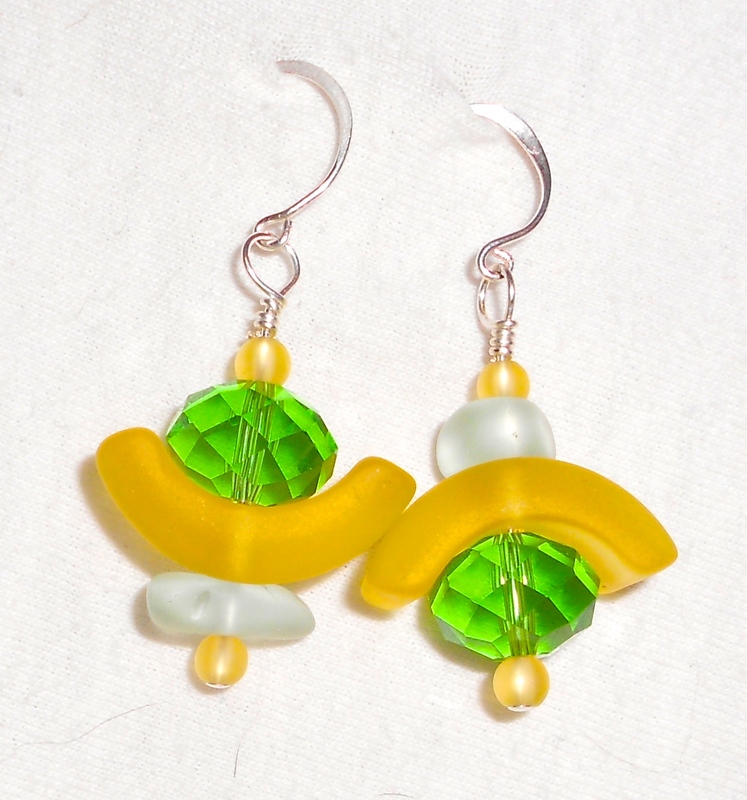 Earrings made with Cultured Sea Glass Disks and loops with crystals. This entry was posted in ZNETSHOWS, ZnetShows, Inc. and tagged #CrowsCreations, #RAWardsATL, #Stones and Bones Jewelry Design, sea glass, z, znetshows. Bookmark the permalink. You sure do hafve some colors that remind me of spring flowers. I love the earrings the best. I luv ya….You are my muse.